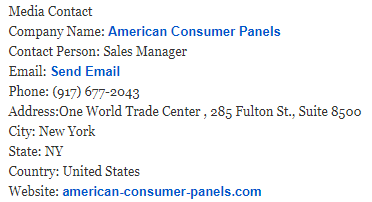 Quick Review: In short, I DON’T RECOMMEND American Consumer Panels, giving it a 0/10 score. Instead, I recommend the companies they actually recommend, Vindale Research and Survey Junkie. 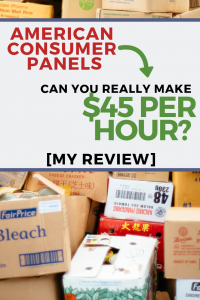 A lot of my reviews on this website have dealt with paid surveys, but in this review, I wanted to explore something different, a company by the name of American Consumer Panels®. 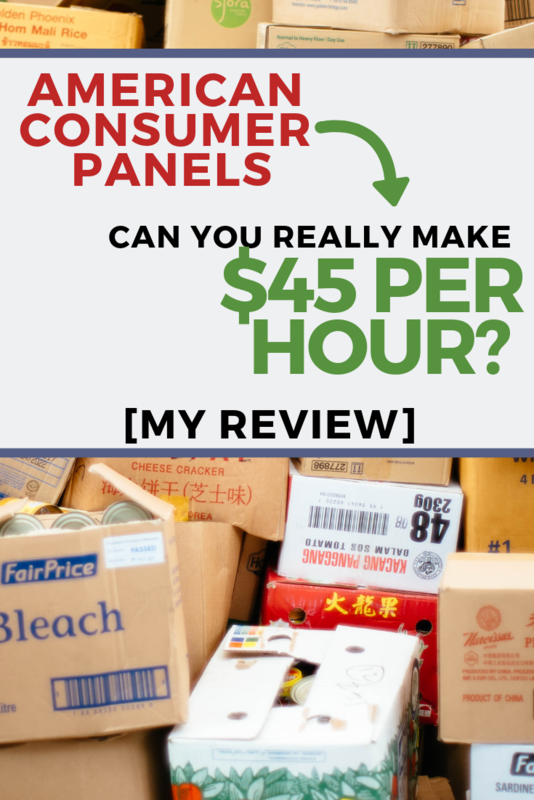 In this review, I’m going to talk about a company I’ve come across online, particularly some job boards like LinkedIn, called American Consumer Panels®, which is a company that is said to hire at-home usage testers who can be paid up to $45 per hour, at least according to the job description and only need to work up to 25 hours! And hey, no experience is necessary! Intrigued in the program, and of course, sounding WAY too good to be true, I wanted to dive in and see if I get approved as well as research to find out if it is, indeed, a scam or legitimate enterprise. It all sounded too good to be true, so hopefully, to save you some time, I did all of the dirty work for you, and here’s what I found out. What is the American Consumer Panel®? 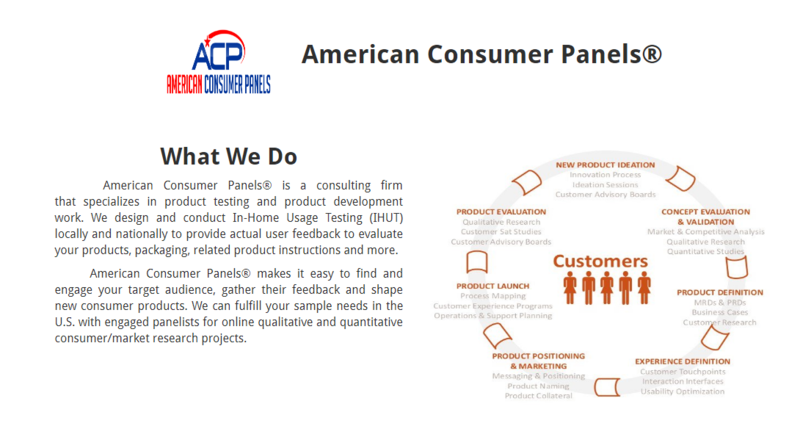 According to the official website, the American Consumer Panel® is a consulting firm that specializes in product testing as well as product development. The company designs and even conducts in-home usage testing both locally and nationally to help provide real-time feedback from potential customers. American Consumer Panels®, at least according to their website, is said to make it easier to help a company understand its audience, gather feedback and even shape new consumer products. 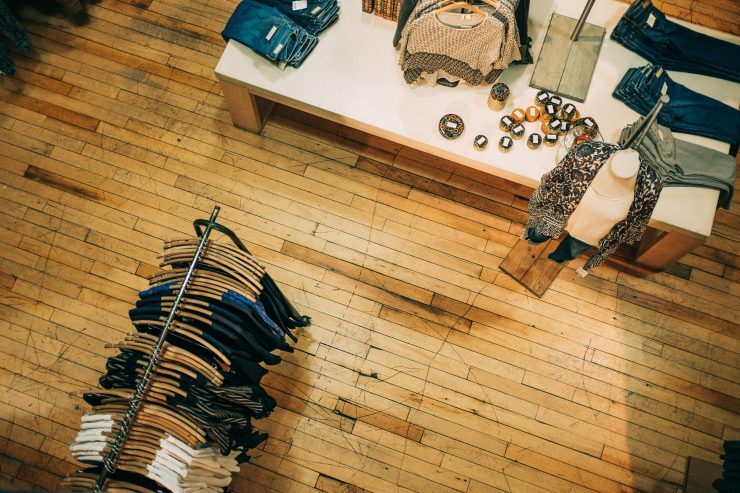 Must like surveys, these in-product testing experiences can help a company learn more about their products as they can get feedback directly from the public. 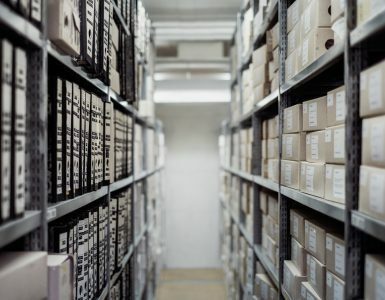 Basically, it appears the company will send you a product to test, which can be just about anything, and in exchange, you will offer your reviews and/or answer a questionnaire, often in the form of a video, audio recording and/or report written online. From what I did research, it would depend on the brand you’re working with for the time being. If you’re familiar with research companies, all surveys that you qualify for will greatly depend on your demographic profile. So, for example, if I’m a company that’s testing dog food, I’m going to reach out to the research companies and tell them I only want dog owners, maybe in a certain age range, to take my survey. This is the same with product testing. 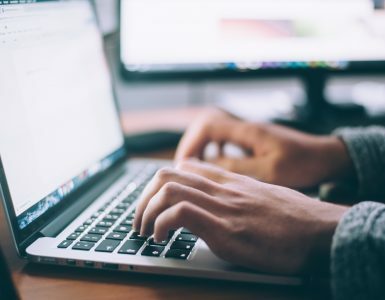 Based on your demographics, as well as your lifestyle, consumer behavior, skills, hobbies, and ability, the company will then do its best to see if there are any products that your profile matches up against. Aside from your personal profile, the company also has the following requirements, as noted in their job description. As you can see, not much experience is necessary and it appears to be up in the air as to whether or not you will be selected, but hey, it’s worth a shot to at least apply to see what happens next. For the most part, it looks like anyone older than 18+ can apply for the job. Honestly, I just started the application, which I talk about below, and was able to access “my dashboard” almost immediately. The details are fuzzy as to what you would test since it greatly depends in which company the American Consumer Panel® is working with at the time. 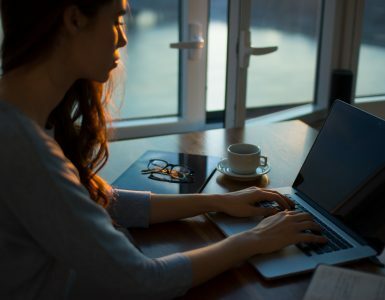 For example, when I was writing this review, the company stated they have worked with multiple companies, including Apple, Dyson, Fisher-Price, HTC, KitchenAid, Nespresso, NutriBullet, Sony and so many more, most of which they post on their main website. You can see many of the companies they worked with on their main page, but I can’t guarantee you will work with their products if you were to sign up with them. I will also include a screenshot below, too. To see some of the product testers in action, I do recommend you check out their photo gallery where you can check out the people who are apart of the panel as well as what they were able to test. is it honest? Who knows? I will let you be the judge on this one. When I took a glance at it, I saw everything from a KitchenAid artisan mixer to a 48-inch Sony Bravia TV. These were some pretty pricey products as well as some lower-end products, too! Again, I have no idea how honest these pictures are and can’t prove otherwise, so do proceed with caution when viewing them. Unlike the many survey companies I promote on this website, wherein you can join and start making money in almost as five minutes, American Consumer Panels® works in a much different way since you need to apply and wait for approval. Looked at as a part-time job, the company’s job description, which can be found here, simply says that it is a part-time position that pays between $25 and $45 per hour, with a guaranteed 15 to 20 hours a week that works around your schedule. If you qualify, then they just want to make sure you’re committed to the product testing. Again, this sounded WAY too good to be true, but hey, I’m going to apply anyways. When I applied, it first asked me a few questions, in which I would have to agree to the terms, answering yes or no, such as dedicating 15-20+ hours to the job and signing a non-disclosure agreement. It was about five questions and that’s about it. It also asked a few other questions, but as long as you said yes to these questions, it would then ask for your email and proceed to take you to a “gathering your demographic” page. This entire process took about one minute and just involved the yes/no questions as well as handing over my email address. After giving away my e-mail and answering the yes/no questions, I was quite disappointed as all it leads to was asking me to follow two steps, which told me to join two survey panels, which has nothing to do with the company. Sadly, these were third-party survey companies that make them money and no reputable company, at least one the ones I have worked with, will tell you to sign up with an outside company. 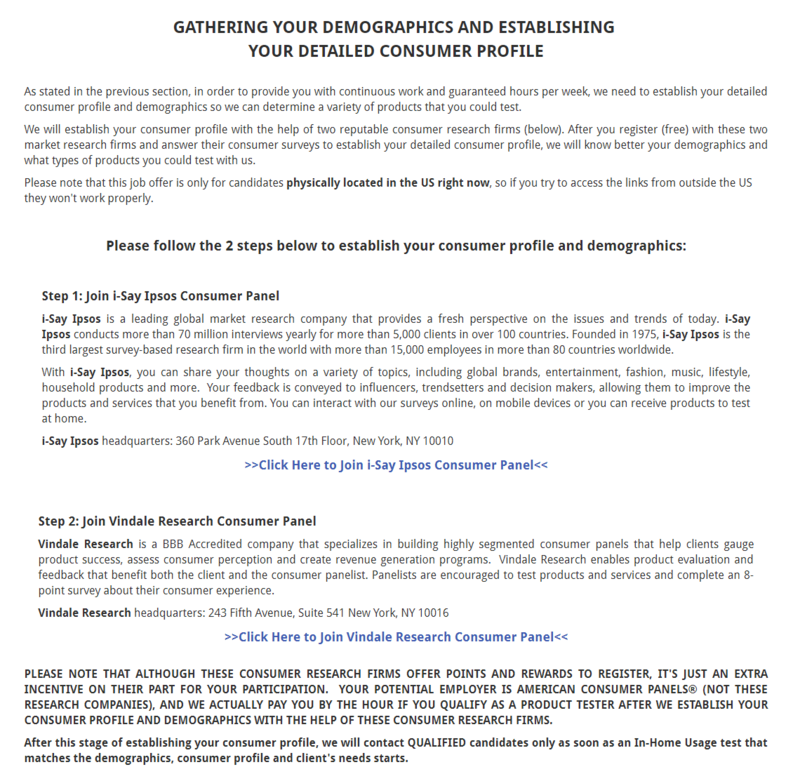 The two companies they told me to join in order to establish my consumer profile and demographics were actually two reputable companies I recommend, Ipsos and Vindale. However, both of these companies have nothing to do with the American Consumer Panels®, hence the confusion. 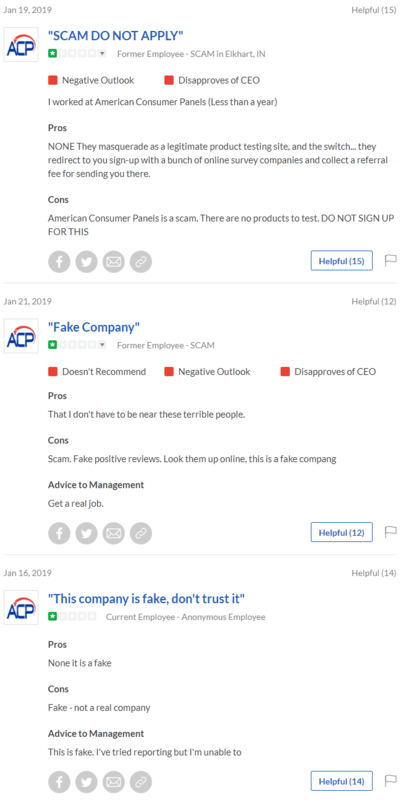 While these two companies are LEGIT and I do particularly recommend them, it appears American Consumer Reviews are pushing these companies due to the commission they receive. It also appears they will rotate these survey companies based on graphics I found online showing the same dashboard, so your dashboard may be a pinch different. By following the links on the dashboard and signing up with those outside companies, it will only net the company a small commission, so this immediately raised a red flag as it reminded me of a way to almost swindle people into thinking they were about to test products for a high hourly rate. I just know this since I work with Vindale as well, and yes, as implied in our advertising disclosure, we make a small commission off of them. Now, the bottom portion of the website did say that they will contact qualified candidate as soon as a test matches my demographics, but the question is where are my demographics found? Unless they can tap into the Ipsos or Vindale database, they know nothing about me because, as you remember, I only answered a few simple yes/no questions and answered nothing about my demographics. 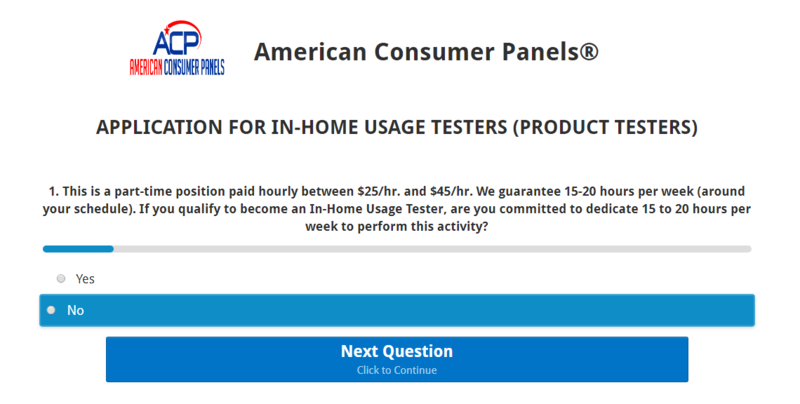 So, how much money can you make with American Consumer Panels? As mentioned, they claim you can make up to $25 to $45 per hour, but you have to commit at least 15 to 20 hours a week. Again, this sounds way too good to be true, and as of right now, I guess I’m sitting in the queue of applicants, even though they know nothing about me, so if they ever do contact me, I will be sure to update this, but in the meantime, I’m not holding my breath here. Remember, this is what the company proclaims, and I couldn’t find anything online where people were confirming these numbers, so don’t get too excited just yet. Google “American Consumer Panels reviews” and one of the first legitimate websites that come up is Glassdoor. While I’m writing this, the company has a 3.7/5 rating, but in the past, it was as low as 1.4. Now, the thing I don’t like about Glassdoor is that it reminds me a lot like Google Reviews, in which anyone can register and create a review, faking it if they wish. I’m not saying these are fake reviews, but it’s by far the only place online talking nice things about them, so I would proceed with caution, that’s for sure. Weeding through the “positive” reviews, however, the negatives were saying exactly what I’m thinking in that they are tricking users into thinking they are maybe getting a $25+ per hour job, but in reality, all they are getting are some survey sites that can make them a commission. While I don’t always recommend the Better Business Bureau (BBB) due to their marketing schemes, I will sometimes check the website to read the reviews to see what other people are saying. But, when I checked out the BBB, I couldn’t find this URL, in particular, which, again, raised red flags. Even when I checked out their WHOIS, which shows you who owns the website, to maybe gather some contact data, this was private as well, yet again raising another flag. A legitimate company won’t be afraid of listing their contact details. However, if you look at the WHOIS, where you can find out when the website was created, it actually says the website was created in May of 2015. The company sure does like to advertise, but when you try to get ahold of their support, at least via the e-mail address on their website, it seems to be unresponsive. With no phone number an unresponsive social media page, this again raised some red flags. The website tries VERY hard to make it look like a legitimate organization, so much so that they post a “press coverage” link toward the bottom of their page. So, you’re probably thinking, “Great! They have been in the press before,” but don’t let the press fool you. And yes, once paid, one of the perks is that some media outlets will pick up your press release and post it on their website. You can view more about the process via the company’s website here. Googling the address “One World Trade Center, 285 Fulton St., Suite 8500,” it led to a company by the name of SERVCORP, which is a virtual office that anyone can rent out. And as a member, you can use a “prestigious” corporate address for marketing materials at more than 160 locations. So, whether or not they are an active member, any SERVCORP member can use this address and place it on a press release if they so choose. I mentioned it already, but I will mention it again. If you search online, I can’t find anyone, outside of the Glassdoor reviews, that claim they worked with the company. If you can find a legitimate review, please let me know. I’m not going to go as far as saying it’s a scam, per se. Moreso, I’m going to say it’s a TRICK to think you’re going to make some nice money from what seems like an honest company. It’s really upsetting to read hundreds of poor reviews from people who want to make a decent living online or even find a side job and it’s websites like this that cause more harm than good for the community. Thankfully for people like me who waste my time to research tricks like this, I can hopefully stop you from entering your information and wasting your time, investing your time elsewhere. Call it what you want, but it’s definitely not recommended nor legit in my opinion. Right now, I HAVE NOT heard back, but if I do, I will be sure to update this portion, I promise you. I will also add more information here if someone contacts me and are able to confirm they were accepted as well. 0/10So, without all of that being said, the American Consumer Panels, for now, gets a fat 0 out of 10. There are SO MANY other opportunities that are worth your time. I can’t find any authoritative information on any website where people talk about making $25+ an hour with this company and receiving goods. Plus, I’ve been in this industry long enough to know that if it this was legit, there would be a TON of bloggers who would be promoting the service and there would be a lot of chatter on highly reputable websites like the Reddit r/beermoney subreddit, for instance. I didn’t find this anywhere. Do yourself a favor and skip this company in its entirety. In the meantime, if you actually had a good experience (or bad) with this company, I do want to hear more about it in the comments below.